Ustad Muhammad Ibrahim was legendary Sindhi Classical Music Singer. He had sung Sindhi Folk Music, and he was expert in storyteller songs "Dastan Music " in Sindhi language. I have selected top songs of the Artist, he sung poetry of "Hazrat Shah Abdul Latif Bhitai R.A", "Hazrat Sachal Sermast R.A" and other poets of Sindh. Ustad Muhammad Ibrahim was great Sindhi Singer, he create great name in Sindhi Music. He has sung Sindhi Songs such as Sindhi Lok Music, Sindhi Sufi Kalams. We never forget him. When we listen his sweet sound our hearts goes to the memory of Ustad Muhammad Ibrahim legendary Sindhi Singer. Specially he has sung the poetry of all Sindhi Poets. He was famous singer of Radio Pakistan and Pakistan Television. He was very popular in the Music of Sindhi Lok Dastan. He has sung lot great songs on Radio Pakistan Hyderabad Karachi and Khairupur, he was Master Sindhi Classicla Mousiqui. He was born on 13 June 1920 in Salaya Gujarat and later he shifted to Karachi Pakistan. He was most popular Singer of Radio Pakistan Hyderabad. He create great name in Sindh Folk Music. Ustad Muhammad Ibrahim started singing in Classical techniques and his songs was still very popular in Sindhi society. His popular Sindhi Lok Dastan "Noor Jam Tamachi" and Lok Dastan Music such as "Sassi Panu", are famous in all over the Sindh. He also sung the poetry of Sindhi Sufi Poets. 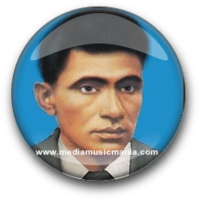 Legendary Artist Ustad Muhammad Ibrahim was died on 03 May 1977. I have selected most popular Classical Music of Ustad Muhammad Ibrahim.